Re: What is it about these beads that screams "Méxican"? -- Beadman Post Reply Edit Forum Where am I? ...and I could be reacting to the way the photographs are presented rather than the actual beads, i.e., dead wrong. Size, for example - closeups always seem to make beads look huge, and I remember the Mexican beads as being rather large and clunky. The very visible draw lines are also what I remember from the Mexican beads. 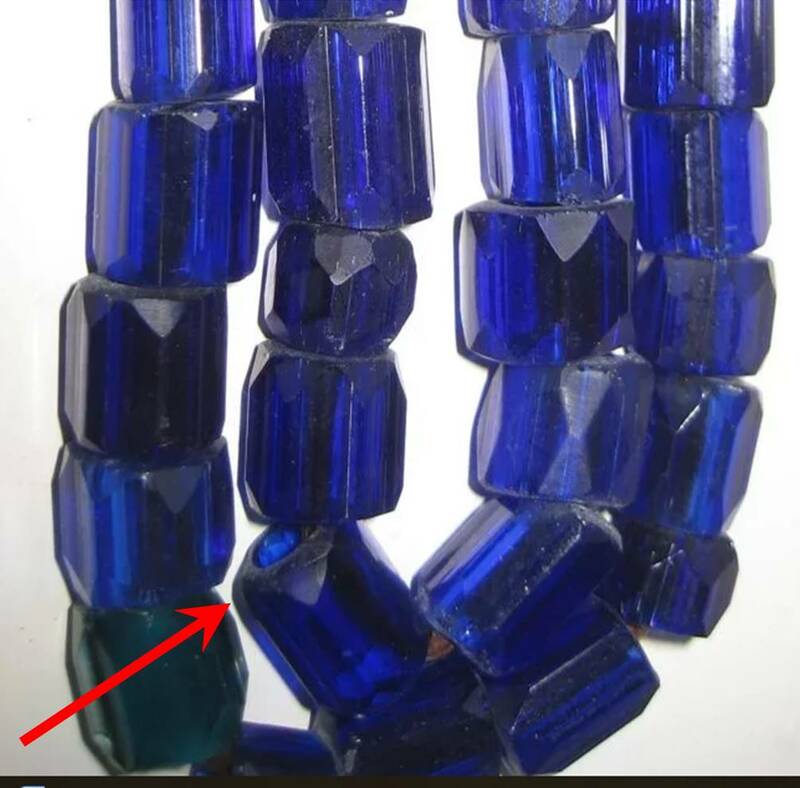 The nicely rounded end visible in one photo is not something one sees in the Bohemian beads, which typically look exactly like one would expect for beads to have been broken off a cane - sharp and somewhat wavy. The photo beads appear to have been polished a bit somehow. The Picard photo shows a sample of the Mexican cane, showing how the faceting was done.